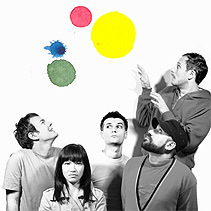 double-A side single together with a second track, Lack Of View, taken off the band's hotly-tipped debut album Summer Palace. 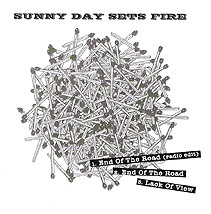 End Of The Road marks the beginning of a musical adventure for Sunny Day Sets Fire  the name came from an internet band name generator and somehow suits their sound! And the band looks set to sizzle as it serves up a tasty blend of lush, richly-textured, epic, psychedelic, sunshine pop this Spring; kick-starting the Sixties' Psych Pop Revival. an EP under its belt  a two year presence leading up to one very anticipated debut album. Multi-instrumentalists Mauro and Onyee met while working as ushers at a London repertoire cinema. Sharing a vision of theatre, art and music, it was inevitable that they'd get something good cooking. When Mauro began writing a collection of ambitious sunshine psych songs, mutual friend Max was asked to join the group. The founding members of Sunny Day Sets Fire began experimenting with every possible trick to realise the impossible task of performing music written for a small orchestra. 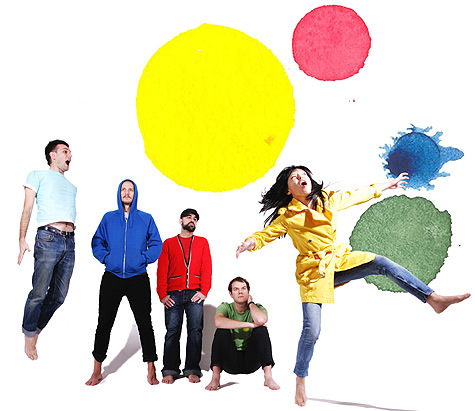 in East London, from where they worked on Summer Palace  their debut album  throughout 2007. With shades of Sixties freedom and Gypsy guitars, Sunny Day Sets Fire can't be ignored. It isn't often a track strikes such a chord, but End Of The Road has hit just the right spot. Groovy, Baby. The band will be touring throughout Europe and the US in 2008, supporting the release of Summer Palace, the upcoming singles and their Stranger (another track from the album) remix EP featuring remixes by the likes of CSS, Diplo, XXXCHANGE (Spank Rock) and the Cool Kids. As the publicity machine says, it's enough to make you burn your passport and declare yourself a converted citizen of the world. Aren't we all?  End Of The Road will be released on Brikabrak Records on 14 April (2008). Watch Wilderness at www.youtube.com/watch?v=XP7tGyxFEXs and Brainless at www.youtube.com/watch?v=z2v_UfbOn2s.